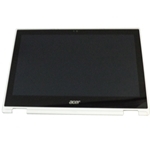 Acer Chromebook CB5-132T Replacement Lcd Touch Screen Digitizer Module 11.6"
Home → Chromebook Parts → Acer Chromebook CB5-132T Lcd Touch Screen Digitizer Module 11.6"
Acer Chromebook CB5-132T Lcd Touch Screen Digitizer Module 11.6"
Description: New genuine Acer laptop touchscreen led lcd module, 11.6". This part is white in color and is for a laptop with a touchscreen only. The module is made up of the screen, digitizer and bezel. 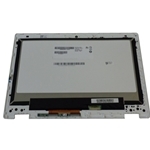 Compatible Part #'s: 6M.G54N7.002, 6M.G54N7.004, B116XAN04.1.